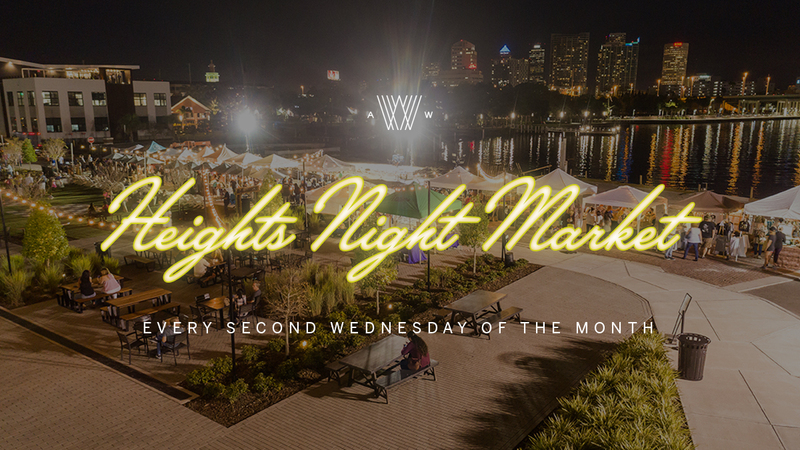 Heights Night Market is a monthly, evening market taking place on 7th Ave in front of Armature Works every 2nd Wednesday of the month from 5:30pm – 9:30pm from November – May. Heights Night Market will feature a rotating cast of artisanal artists and makers selling handmade goods, jewelry, art, wood-work, gifts and so much more. Heights Night Market is free to attend, family-friendly and features live music at each event. Interested in becoming a vendor? Please click, here to visit our vendor application page.